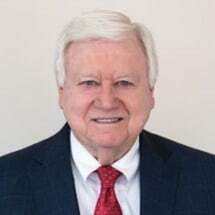 Mr. Smith, a founding member of Smith Bigman Brock, P.A., has been practicing law for more than forty years. He focuses his practice in the areas of family law and criminal litigation. Mr. Smith was Board Certified as a specialist in criminal trial law from 1987 to 1997 and is currently Board Certified as a specialist in Marital and Family law. For the 30th consecutive year, Mr. Smith has received the highest possible peer review rating (AV) in Legal Ability and Ethical Standards from Martindale-Hubbell and for the 10th consecutive year has been designated a Super Lawyer.